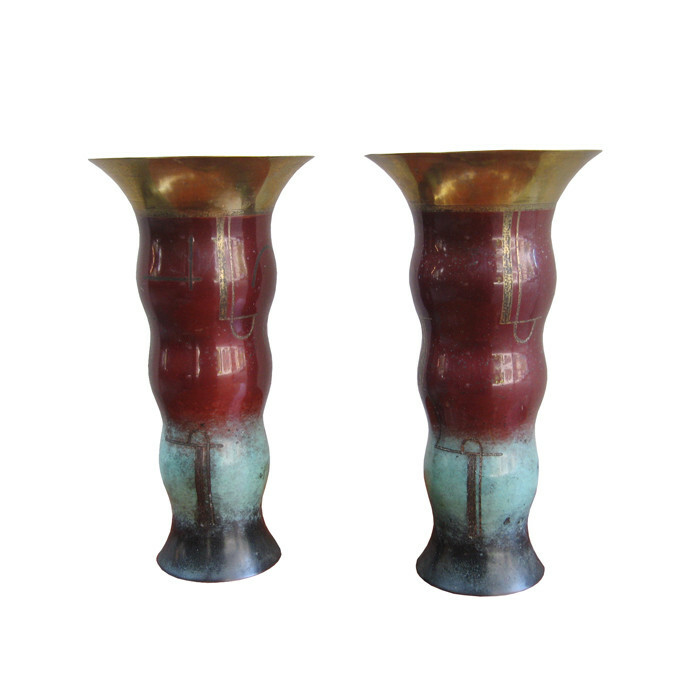 A pair of Art Deco "Ikora" mixed metal vases Designed and manufactured by WMF. Marked with WMF logo. Dimensions: H:10 Diameter: 5¼ Inches.